Calling all writers! We are the creative writing organization on campus that unites writers of all genres, majors and non-majors alike, to come together and create. We focus on production, community, and creativity. 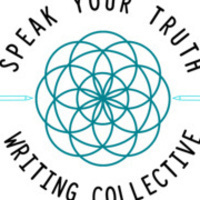 SYT welcomes all artists who play with words in their work, including but not limited to: poets, song writers, nonfiction writers, rappers, and fiction writers. Join us for writing workshops, open mics, guest speakers, and a chance to share your work and ideas with a group of passionate people! Home Depot is a retail company which is used to improve or remodeling the home, using specialized tools and services.